Research and Development was a huge part of F1 2017’s career mode – how has it changed for this year? F1 2017 marked a huge expansion for Research and Development. We more than tripled the amount of upgrades available from the previous game and this allowed us to maintain lifespan much deeper into the career. Despite this, there was still so much more we could do to enhance the experience and I’m thrilled we are able to bring some considerable updates for F1 2018. First of all, every F1 team has its own unique upgrade tree with different quantities of upgrades specific to that particular team. Another big addition we’ve brought in is regulation changes. When these happen in game, it can threaten the legality of a set of upgrades into future seasons, offering players the chance to adapt them to the future specifications, so that they can be kept going forward. This makes for some interesting prioritisation – do you adapt affected upgrades to protect for the future, or do you continue to push for additional upgrades right to the end of the season, in the knowledge next season’s car may not be as competitive straight away? That’s not the only big addition though – something else new for F1 2018 is department morale. The way you interact with the press has a direct influence on the departments who develop your R&D upgrades. If you’re less than kind about a particular weakness with your car, you may end up finding the cost and failure rate of upgrades in these departments begin to increase. On the flip side, a silver tongued approach may really give your team’s departments the motivation they need to deliver upgrades more efficiently. However you decide to play it, your responses have real power and have a genuine influence on the team’s R&D capabilities. 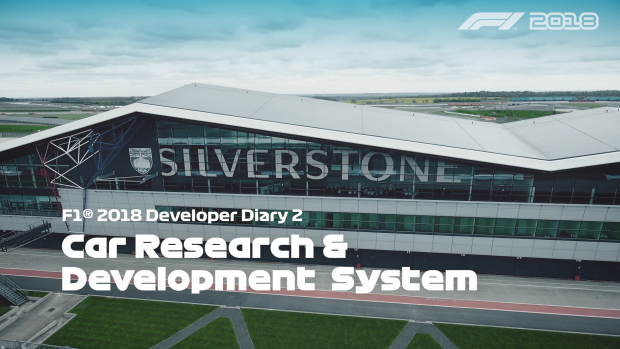 What was the process of designing the new Research and Development system in F1 2018? Because it’s so central to the structure of Career Mode, R&D is an area where there’s no shortage of fantastic ideas floating around, both internally, and externally. We closely monitor requests raised by the community and have actively sought such feedback on a number of occasions, particularly during our community testing sessions for previous games, to ensure our features are in line with what people want. Once we have identified the key objectives, a detailed design proposal is carefully considered and written up, ready for development to begin. How will the team-specific Research and Development trees work? It’s difficult to imagine teams having the same development paths throughout a number of seasons in real life, so we made it a priority to create that same level of diversity in the game. With every team featuring different upgrade paths, the quantity and impact of upgrades varies extensively. While one team may have a major drag upgrade being the initial entry point to the Aerodynamics department, another may begin with a choice between a minor front, or rear downforce improvement. What happens when there’s a rule change? Every so often one or more departments may become affected by a regulation change. What this means for the player (and all opposition teams) is upgrades fitted in such departments will become under threat. There will be a window of several race weekends for the player to consider if they would like perform the necessary adaptations in order to keep them for future seasons. Of course, there is nothing saying the player has to adapt their upgrades. Short term it may be a better tactic to continue spending Resource Points on entirely new upgrades for that current season, especially if valuable championship positions are going down to the wire. Taking such an approach will likely mean the team may have some development ground to make up the start of the new season when the regulation changes come into force. The other choice, of course, is to spend the Resource Points adapting the affected upgrades, and this would result in really hitting the ground running at the start of the following season. It’s a fascinating trade-off between short term and long term benefit, one which is entirely in the player’s hands, as they can adapt as many or as few upgrades as they see fit, providing they have the Resource Points. These regulation changes can really shake up the team pecking order for future seasons and how each team is affected by the regulation change varies greatly on each occasion, meaning your main rivals in one season may not be your most direct competition in the following season. I’m really looking forward to hearing stories from the community about how the regulation changes affect them, and the teams around them, because the possibilities for different outcomes are endless. 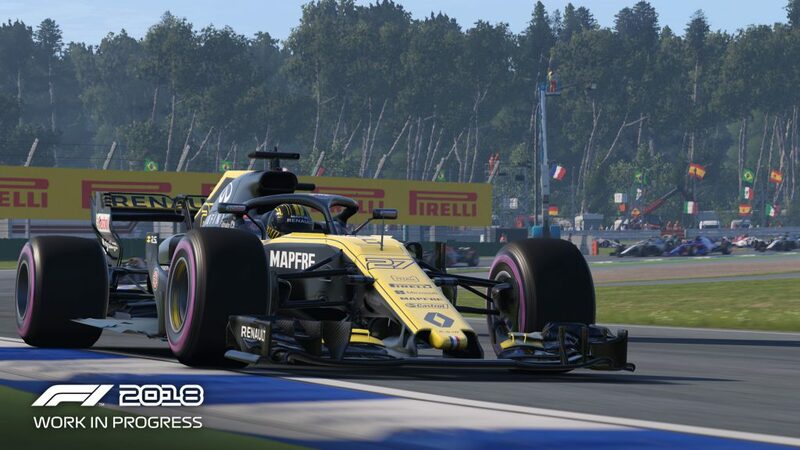 What do you think players will enjoy the most in F1 2018? The overall cohesiveness of the Career Mode is a huge draw for F1 2018. It’s an area that’s been built on every year recently and I can be confident in saying this is the best year yet. The number of new systems such as Face The Press Interviews, Contract Negotiations, Team Goals and the way they all work in unison with the updated R&D system means there is always something to keep players vested deep into the career. 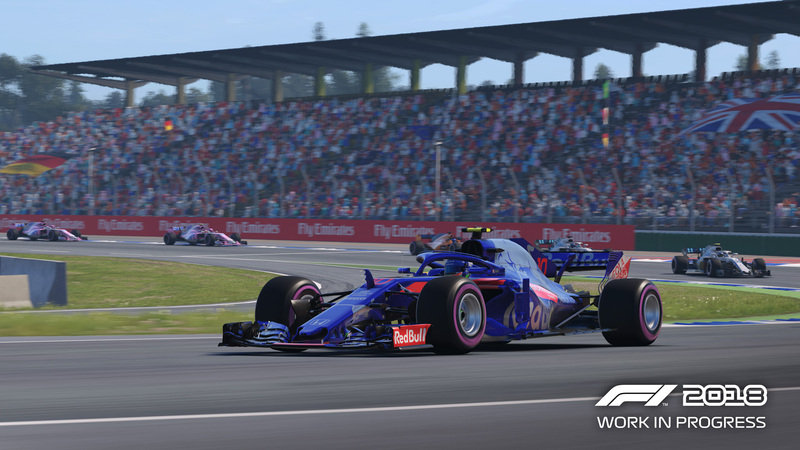 F1 2018 features all the official teams, the drivers and all 21 circuits of the thrilling 2018 season. As well as the current season’s offerings the game includes 20 iconic cars from the history of the sport allowing you to drive the likes of James Hunt’s legendary 1976 championship winning McLaren M23D and Niki Lauda’s Ferrari 312 T2 (both of which featured in the 2013 hit movie ‘Rush’). F1 2018 will release onto PlayStation®4 computer entertainment system, the Xbox One family of devices including the Xbox One X and Windows PC (DVD and via Steam) worldwide on Friday 24th August 2018. Want to pre-order F1 2018? You can here! 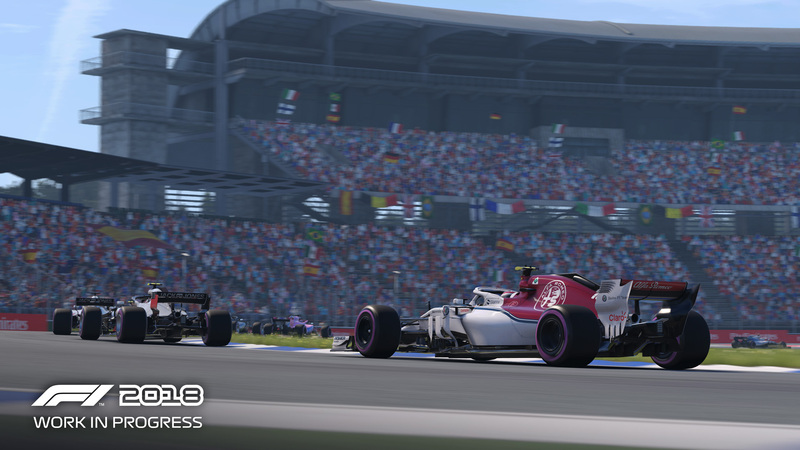 Keep it here on the Codies blog for all the F1 2018 news, and follow us on Twitter and Facebook, Instagram and YouTube to get the scoop first.